Neurofeedback has been explored since the 1970s. In the meantime, several international clinical studies have shown that Neurofeedback leads to sustainable improvements of ADD / ADHD symptoms in children and adolescents. A study of Neurofeedback training with adults who suffer from ADHD is currently being evaluated. On this page, you find some of the studies that are most important to date. The original publications (mostly in English) can be accessed via the links. 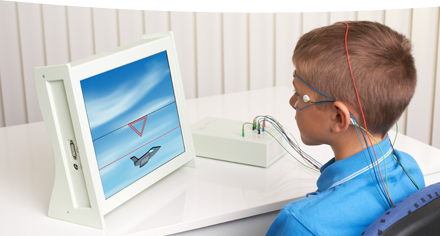 Over the past decade, several studies have demonstrated that Neurofeedback training results in a detectable improvement in behavior and attention. Parents and teachers assessed the children before and after training. The study examined the effect of Neurofeedback training. Twenty three children with ADHD participated. It turned out that children are able to learn the self-regulation of their brain activity. This is measured in the EEG. Furthermore the children improved their behavior, attention and even their intelligent quotients . 120 children with ADHD participated. Parents and teachers judged the behavior and attention of the children. They rated both measures higher after the training than before. Those children received better results compared to those who took part in a computerized attention skills training. The scientists compared 15 international and national studies concerning Neurofeedback and ADHD and put those results together. Based on the data, they concluded that when suffering from ADHD, Neurofeedback is "efficacious and specific" and the highest efficacy of treatment (level 5). These factors result in a significant improvement in inattention and impulsiveness. Effects on hyperactivity were also present, however they were rated lower. The results of this multicenter Neurofeedback study are still in the evaluation process. In this study financed by the German Research Foundation (DFG), 144 children with ADHD in five German hospitals were treated with either Neurofeedback or with a comparable control training. The point was to accurately measure the direct impact that Neurofeedback training has on the symptoms of ADHD. We will report on this further once the results are publicly available. Two studies examined the long term effects of Neurofeedback beyond the treatment period. Within this study the children were tested six months [Holger Gevensleben, Göttingen, Germany, show study] and two years after the final training session, show study]. They did a therapy session and were evaluated in a questionnaire filled out by parents and teachers. The studies showed that the positive effects of Neurofeedback such as successful self-regulation in the EEG, behavior modification, and increased attention had remained stable over this period of time, and that in some cases had even improved since the end of the training. This is a clear advantage in contrast to using medicine because their positive effects end with the discontinuation of those. A publication by Leslie Sherlin and colleagues from 2010 considered several studies comparing Neurofeedback to the administration of methylphenidate, a component found in various ADHD medications.The authors conclude, from the data, that Neurofeedback improves the behavior and congnitive performance of those affected similarly to a drug therapy. In regards to hyperactivity, the drug was more effective. Show publication. Meanwhile there are also studies concerning Neurofeedback and adults with ADHD. Here you can read more about it.